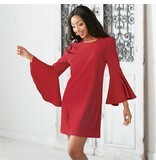 Exude elegance and class with this of-the-moment bell sleeve shift dress! 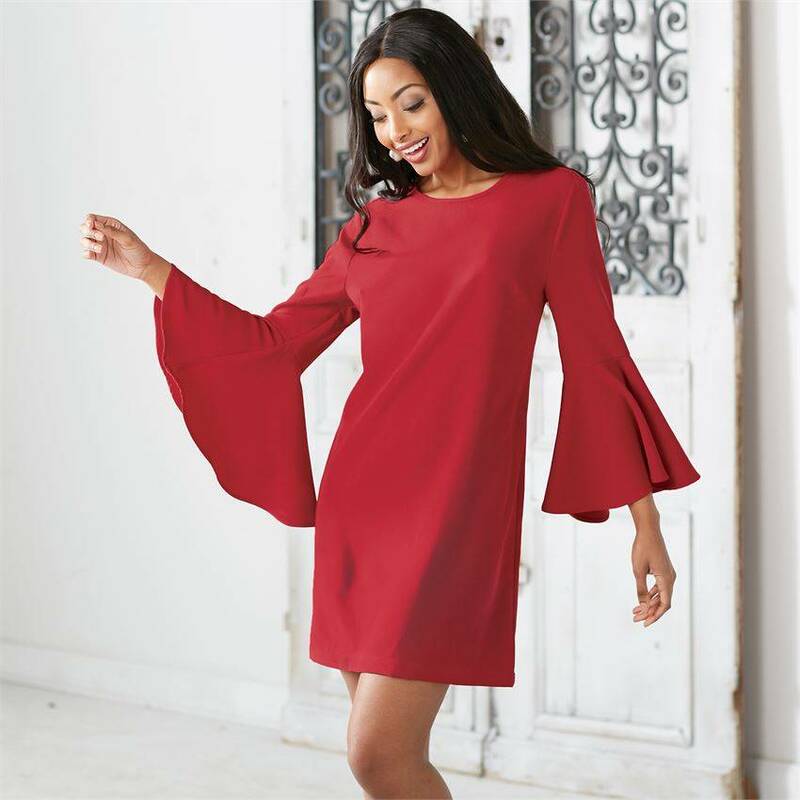 Featuring a heavyweight polyester material, bracelet length dramatic bell sleeves, and a keyhole back closure, this dress, with its regal silhouette and timeless style, is a true wardrobe essential. 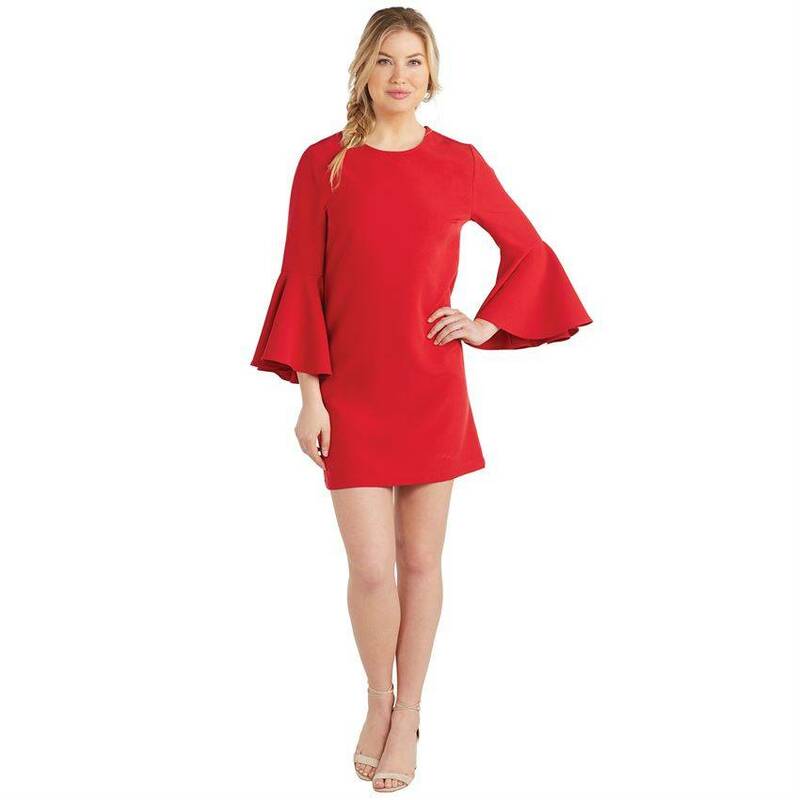 Dress measures approximately 35" from shoulder to hem on size small.